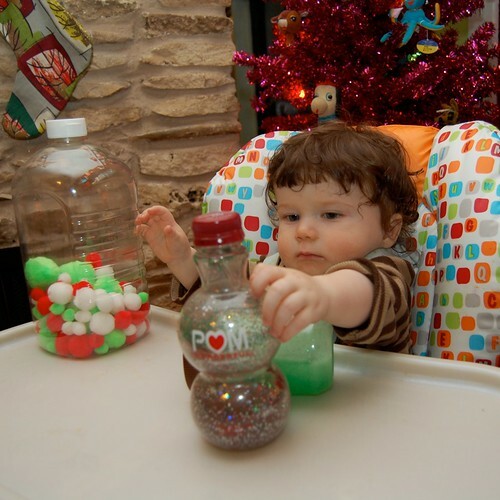 Last week when I did my series on handmade stocking stuffers I realized most of them were for toddlers. What about the babies? They need some handmade love too right? Don't worry I whipped up something fun and festive for Baxter too. 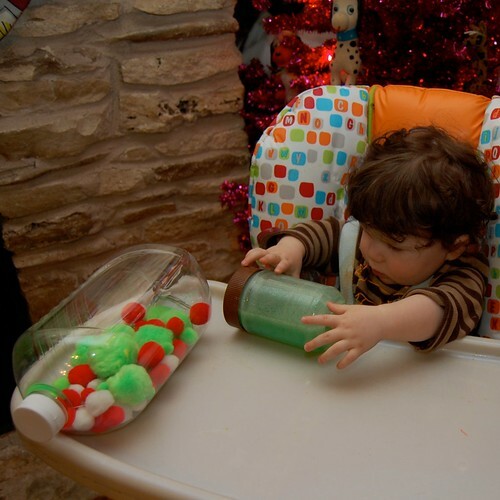 Sensory bottles! Once your jars are full add some tacky glue to attach the lids. We don't want baby swallowing any pom poms. These are such a great idea, Jen!